With so many lodging choices, you might find it hard to make a decision about where to stay when you plan your visit to Charleston! 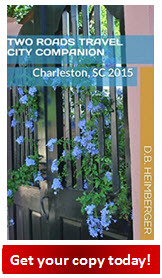 Choose from bed & breakfasts, historic inns or hotels in Downtown Charleston. Or, perhaps you would like to stay in accommodations in one of the outlying areas such as North Charleston, Goose Creek, Moncks Corner, Summerville, West Ashley, John's Island or other nearby towns. Or, check out the beach hotels and vacation rentals on Folly Beach, Sullivan's Island and Isle of Palms. 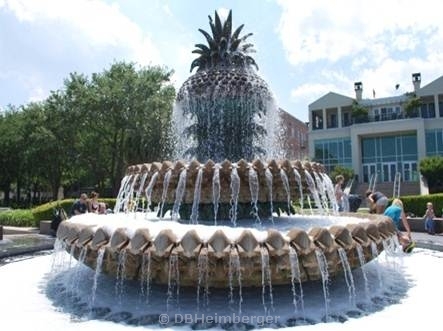 Charleston is serviced by many local hotels and virtually all of the major U.S. hotel chains. Choose your desired hotel location from the list below. 1843 Battery Carriage House Inn, 20 S. Battery, 1-800-775-5575 (fax: +1 843 727-3130). Andrew Pinckney Inn, 40 Pinckney St, 1-800-505-8983. Barksdale House Inn, 27 George St, 1-888-577-4980. Belvedere Bed and Breakfast, 40 Rutledge Ave, 1-800-816-1664 (fax: +1 412-683-3934). Charleston Place Hotel, 205 Meeting St, 1-800-611-5545. Charleston's NotSo Hostel, 156 Spring St, +1 843 722-8383. Church Street Inn, 177 Church St.
Francis Marion Hotel, 387 King St, +1 843 722-0600. French Quarter Inn, 166 Church St, 1-866-812-1900. Hampton Inn Historic District, 345 Meeting St. (& John St.
Harbourview Inn, 2 Vendue Range, 1-888-853-8439. Mills House Hotel, 115 Meeting St, 1-800-874-9600. Renaissance Charleston Historic Downtown Hotel, 68 Wentworth Street, 1-843-534-0300. 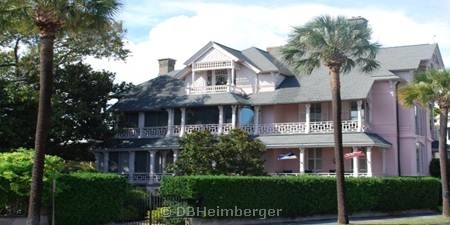 Vendue Inn, Charleston, South Carolina, 19 Vendue Range,Charleston, SC 29401, Phone: 843-577-7970 Fax: 843-577-7346 Toll Free: 800-845-7900, Email: info@vendueinn.com. Seaside Inn, 1004 Ocean Blvd., Isle of Palms, 1-888-999-6516. Shem Creek Inn, 1401 Shrimp Boat Lane, Mt. Pleasant, 1-800-523-4951. Comfort Suites West of the Ashley, 2080 Savannah Hwy (Hwy 17 at I -526), 843-769-9850. Creekside Lands Inn, 2545 Savannah Hwy (off Savannah Highway (US 17) in West Ashley), (843)763-8885. Marriott Courtyard Charleston Coliseum, 2415 Mall Drive I-26 and Montague, North Charleston, South Carolina 29406, 843-747-9122. Staybridge Suites North Charleston, 2465 Prospect Dr. (North Charleston, SC 29418), 843-207-1115. Suburban Extended Stay Airport Hotel, 7582 Stafford Road, North Charleston, 843-414-6800. Charleston County Park and Campground 871 Riverland Drive, 843-795-7275 or 843-795-4386. Things to Do & See in Charleston cont.